I'm sure you've heard of season 6b by now, but I still found this fun and interesting to write up. Sadly, as with most of my ideas, I never bothered to finish it, so it ends on promises of more stuff when I get round to finishing it. Lies, I tell you. Far back in the ancient mists of time I produced a fanzine which contained an article about the now well-documented theory of season 6b and various other unseen adventures which we know about because the Doctor has mentioned them. I'm not a great follower of spin-off fiction, so apologies if some or all of these have since been made into Missing Adventure books, or whatever, but here are my fictional seasons charting the unseen Doctor Who adventures. These stories are listed in the order we hear about them, aside from their adventure on Quinnis which can be deduced to be their last landing before Totter's Lane. Untelevised First Doctor Stories - Season Minus One! a5 The Screaming Forest Planet Esto, 3000 AD E/G: Susan has heard the screaming jungle before. On Esto there were screeching telepathic plants. a7 The Secret of the Tower London, 1530 G: Henry VIII threw a lump of chicken at the Doctor and sent him to the Tower of London. a9 The Innocents London, 1916 J: The Doctor and Susan witnessed a Zeppelin air raid. 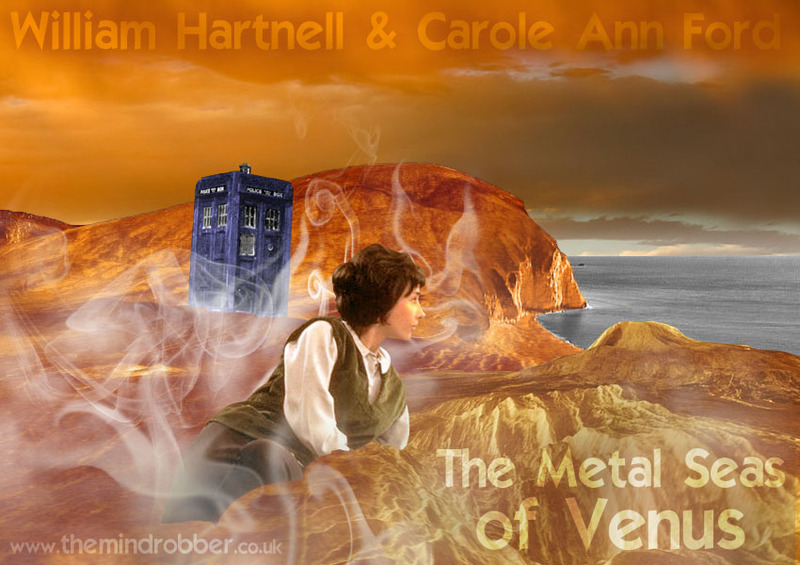 a17 The Fourth Universe Planet Quinnis C: TARDIS was nearly lost 4 or 5 journeys prior on Quinnis in the 4th universe. It is not certain where these can fit in, but as Jamie is not recognised by Padmasambvha we can only assume they are solo second Doctor adventures, or Ben and Polly adventures. In 1995, Paul Cornell put forward a rather wonderful theory which accounted for the following facts: In The Three Doctors, the second Doctor is a little older than he should be, and companionless. He is older again in The Five Doctors and even more so in The Two Doctors, in which he appears with a much older Jamie. In The Two Doctors is also able to accurately pilot the TARDIS, has a remote control for it, and says he works for the Time Lords! This is not the second Doctor we knew! The final fact to slot in is that in The Five Doctors, the second Doctor has full knowledge of the trial which was supposedly part of his final story, The War Games. Also to bear in mind is that the Doctor is aged 450 in Tomb of the Cybermen, but by the time of Pyramids of Mars he's 750! When did he fit in hundreds of years of adventures? Also, remember Sarah Jane finds the second Doctor's trademark recorder in the wood-panelled control room in The Masque of Mandragora? The theoretical explanation for all this is that at the end of the trial in The War Games, as the Doctor is tumbling away, the Celestial Intervension Agency, er, intervenes. A bargain is struck, the regeneration is postponed, and the Doctor is sent on his way with a revamped TARDIS and told to go on some missions for the Time Lords. Operating his ship from the wood-panelled control room, this second missing season continues with the second Doctor travelling alone. Either due to chance or for some odd reason known only to the Time Lords, the Doctor is reunited with his companions Jamie and Victoria again for further travels. Coming soon... The last of the missing adventures, including a whole Romana season unaccounted for!